Extreme breathwork with Taozi Tree Yoga. More programs available by request. One on one Yoga Therapy and Manifestation sessions. Mindful Entrepreneurial Effectuation with EO Beijing. Trauma-Informed Mindfulness with Taozi Tree Yoga: Nov 2-4. Available internationally. Anyone who has run a small business knows how difficult it can be to set aside time to review, reflect, and plan for the future. I find it additionally challenging to wrangle my wild brain into written communication, but I've taken some time off from full time projects this Spring to send some updates. Relationship-building and community are my priorities in life, and I love sharing with you like-minded folks! -Thanks to ALL of you who bought t-shirts to support our 'REAL REBELS Practice Kindness' Campaign. Check out our instagram to see shirts worn from London and Italy to Beijing! -In addition to our Bali retreat last summer, we ran our first Cape Town programs with Aveleigh Gateman, founder of Nametag. -In Beijing, Natalie is still knocking Live with Less events out of the park, and Uchechi has kindly taken over leading yoga! -In late 2017 we applied for funding with the Berkley Center for Greater Good to launch our Parents Investing in Compassionate Children (PICK) program, but the competition was steep and our incredible Virginia-based team was not selected for the award. Major thanks to all of those who supported us during that process. 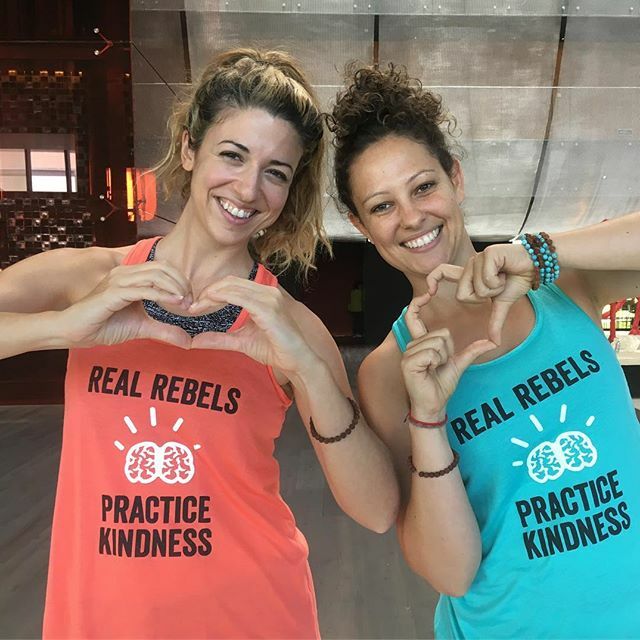 -Co-founders, Erin and Brittany, reunited in the magical land of Bali in April for the Bali Spirit Fest, where Brittany rocked children's programs and we caught up with fellow entrepreneurial pals like Nuts & Bolts PPT Speed Training, Rani Maree Rapid Transformational Therapy and Secret Sunrise Bali. Both she-bosses are pursuing additional education and embodied projects. -We are finishing up our 10-month Teacher Self-Care program at The Langley School and will now be offering the curriculum as a 10-WEEK program. -Erin continues to teach and write curriculum for the University of Virginia's Contemplative Sciences Center and Career Services Center, including programs to engage fraternities in Mindful Communication and frameworks for the Alternative Career Search. -Co-Founder, Alyssa Farrelly is brushing up her business skills with a forthcoming MBA program, and we hope to see her on this side of the world a bit more! -Practice YOGA with ErIn! 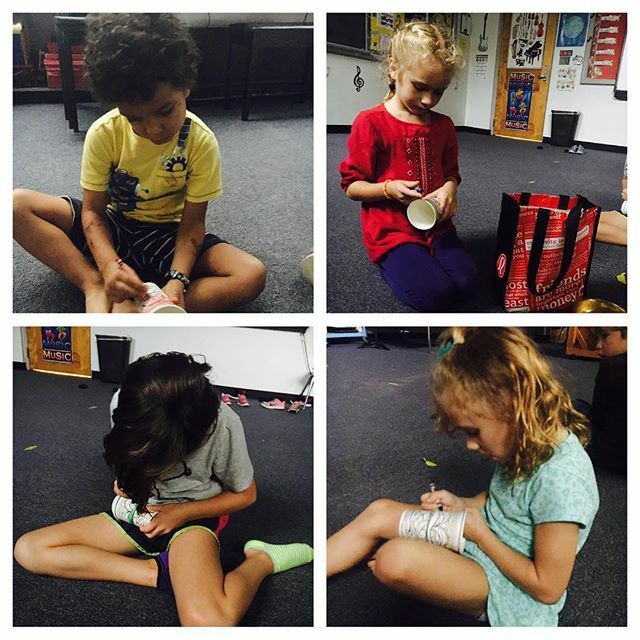 Proceeds benefit programs like our Mindful Minis after school program at Clark Elementary in Charlottesville, Virginia. -JOIN US for Tea on Sundays, Restorative Yoga, Art + Mindfulness and Meditation programs at The Yellow Door in Charlottesville. Depends on the time of year. When it's cold, I have eggs/omelettes and fully loaded nut milks with collagen, spices, and oils/ghee. When it's warmer out, I go for juices and smoothies. What is the best piece of advise you were given when you started your practice ? To make space for it every day, to make it my priority, and all other aspects of life would fall into place. I have found this to be true, and also to represent the idea of putting my self-care first, before the wants of others. Work with people who share my perspective, or are complimentary to it. The friction only grows, so I don't jump into situations where I "hope it will work out," I wait for flow and ease of communication, and presence. I also take lots of breaks and incorporate fun into the day via movement, tea, healthy food, and meditation. I do the heavy lifting in the mornings (writing, thinking, planning), and try to schedule meetings and more social things in the afternoons, when I could use the energetic support. What is your favorite tool/ app/software/tip/blog to help you manage or grow your business? I really like analytics, so I appreciate Google, Facebook, MailChimp and Squarespace analytics...I love looking for themes for how to enhance engagement. Reminds me of a country song that has been on the radio a lot here in Virginia (I love country music)... god is great, beer is good and people are crazy. We could unpack that, I don't even drink beer...but I like the sentiment. Hi, my name is Erin Henshaw and I help people who suffer from anxiety, depression, loneliness and disconnection with breath, movement, and mindset programs, so they can feel like themselves. You are most likely going to find me at www.themindbodyproject.com, @themindbodycrew, or personally @mightyelh. Wellnesspreneur is a digital platform dedicated to helping health and wellness entrepreneurs grow their business with more confidence and clarity. Each month, Mindful Coffee features an inspiring wellnesspreneur from somewhere around the globe, a brief Q&A on mindset and happiness while running their practice. I’ve grown accustomed to ignoring sensations in my feet. I played lots of sports growing up, and foot pain was always part of the equation. My (half-hearted) attempts at physical therapy didn’t provide much relief, and I opted to mostly ignore my body and smash my sore feet into soccer cleats, high tops and running shoes. Freshman year of high school, I went to a dance and woke up the next morning hardly able to hobble out of bed due to pain around my big toes. I distinctly remember putting on basketball shoes and doing my best to make it up and down the court, but I couldn’t. I learned from a podiatrist that I had bunions (not a growth, but a outward rotation of the ball of the foot that turns the big toe inward towards the smaller toes) and he assured me that because of my age, removing the bunions via surgery would be the most quick and effective way to fix the problem. Although surgery changed the location of the pain, it never went away, and I spent ten more years pushing through foot pain. This disregard for listening to the messages of my body finally changed when I began to practice yoga. After ten years of trying to pretend my feet weren’t connected to the rest of my body, I began to accept and allow the pain and listen to the sensations. Traditional Chinese Medicine even taught me that the feet are a map for the entire body, which really struck a chord. As I invited curiosity and awareness into my movement routine, I noticed that my feet began to relax, release and eventually re-program themselves towards lightness and pleasant sensation. I also learned that ignoring my feet for so many years was like ignoring my super power to feel grounded and connected to myself and the world. My relationship with my feet is certainly one of the reasons that Mindful Walking practices didn’t initially feature in my personal mindfulness routine, and I still have the habit of excluding mindful walking from my practice. There are, however, various occasions over the years where I have been drawn towards teaching or participating in walking meditation, and the power of the experience has been truly touching. I have found that mindful walking appeals to all ages and activity levels, and appreciate being reminded that sometimes the simplest practices are the most transformational. During one meditation program at The Yellow Door, an experienced through-hiker named Greg came to practice. He had recently crushed the Pacific Crest Trail, and was looking for his next challenge. Our meditation teacher, Dana Wheeles, introduced various playful meditation techniques, including mindful walking. In her class, Dana instructed us to feel each part of the sole of the foot as it hit the ground and to let the energy of the room guide our paths; standing, moving and feeling into the entire sensation of the body. My step-mom, Ruth, is an avid walker. She usually walks her dogs or my dad, and uses this time to clear her mind. On her last walk, I suggested she try Mindful Walking and the mantra, “I am here.” Her response was magical. Upon return from the walk, she explained that despite the pulling from the dog, she was able to concentrate on mindful walking for fifteen minutes. After that time, she found a clearing in the path that opened to a patch of sun. Unlike any other time she can remember, she said it was if her eyes automatically half closed and uplifted towards the light. For a few minutes, she lingered in a state of warm connectedness, as if the entire world around her melted into an ambiguous hazy bliss. Then, the dog pulled and she continued back home. My friend Jen is a super runner. She bikes and scales mountains all over the world like a billy goat. She also, admittedly, likes to complain about body pain and ultra-endurance mishaps; an endearing form of self-deprecation for a woman who embodies resilience. During one intense race in the Hong Kong Mountains, Jen wasn’t able to poke fun at her body, because the conditions were so intensely brutal that it was all she could do to finish. As if naturally, she created a “One foot in front of the other” mantra in her mind, and focused solely on the movement of her feet for the duration of the challenge. To her surprise, the pain and anguish during one of the hardest races in her life melted away. Without the luxury of negative self-talk, she immersed herself fully in the image of strength, the only mindset that would allow her to finish. Although the race was physically one of the toughest of her life, it was a mental breakthrough. For myself, one of my most transformational long-distance runs came when I approached it in a mindful way. During one half-marathon, I was working on decreasing stride length by increasing cadence, and did so by quickly repeating the mantra, “down, down” in my head during practice. I didn’t know the exact beats per minute, but every time I said down, my right foot needed to hit the ground. I did this for over thirteen miles, and seldom did another thought enter my head. Not only did I end the race with a mental clarity and physical lightness that I have seldom experienced, by my final kick literally felt like gliding through the air. For the last mile, I didn’t feel my legs, only the “Down, down” of each foot, as if my body gave in to a higher energy and propelled me to the finish. To be honest, I don’t practice this technique much anymore, but I think I have internalized short, quick, steps as part of my mindful long-distance running technique. Mindful Walking can be a moving meditation all of us, and it’s hard precisely because it’s so easy. Set an intention for your feet. We like: I am, here. Each time the right foot hits the ground, say to yourself: I am. When the left foot hits the ground: here. When your mind wanders, bring it back to your intention. To begin, it may be helpful to set a timed goal for yourself. Start with something that seems easily achievable. Here’s a 10-minute Walking Meditation and infographic from Mindful.org. After you finish, give yourself a few minutes of stillness in the body to absorb the experience. Another option: If repeating an intention doesn’t feel right, your anchor can be noticing the sensation of your feet hitting the ground. Mindful Walking is one of the skills taught in a traditional 8-Week Mindfulness Based Stress Reduction (MBSR) program. Research has shown that MBSR programs enhance physical and psychological well-being in individuals experiencing physical and mental illness and amongst healthy but stressed individuals. Click HERE for more evidence. Mindful Walking is a type of moving meditation where an intention or “anchor” is used to bring the wandering mind back to the present moment. Choosing an anchor helps calm the mind, and bring the nervous system into balance. Scientific American explains that, during mindfulness meditation, the grey matter in the amygdala (our brain’s ‘fight or flight' response center) actually shrinks, while the prefrontal cortex (higher brain function, like concentration and decision-making) actually thickens. Additionally, the relationship between these areas of the brain change so that primal responses to stress are gradually replaced with more thoughtful spaces between stimulus and response. Click HERE for an Elephant Journal article about other possible anchors. Erin Lee Henshaw is the Co-Founder and Mindful Facilitator of The Mind Body Project, mindfulness for institutions. Her company runs mindfulness programs for schools, companies and communities in the US and China to enhance focus, resilience and science-backed happiness. Erin specializes in teaching trauma-informed Hatha yoga, elementary mindfulness and breath work and is developing curriculum for Teacher Self-Care and Mindful Parenting. She is a tea and bike lover, entrepreneur and avid believer in experiential education. Last month in San Francisco, I had the incredible opportunity to see some of people and places that have most influenced my mindfulness journey. I had tea over-looking oceanside cliffs at Land’s End with fellow tea-venturer, Jody Beavers, of Tap Twice Tea. I met a few of the amazing people behind Google’s Search Inside Yourself Leadership Institute, and I got to see Dacher Keltner open a talk at the Greater Good Science Center at Berkeley for Richie Davidson’s newest book, Altered Traits. This is the prescription for altering traits. Basically, this means that whatever previously happened in our lives becomes our subconscious baseline for comparison, and sticks. It is important to understand this subconscious mechanism of the brain because although altering personality is quite difficult, understanding the process of creating traits creates a path towards developing long-lasting change. So, how can we make sure we aren’t hard-wired to continue in the present as we have in the past? Richie explained that neuroplasticity (the ability of the brain to change neural pathways throughout our lifetime) happens wittingly or unwittingly, so we might as well be intentional about letting go of rumination and expectations. We can elect to show up to the only thing we can affect: the present moment. By focusing on an anchor in the present moment, meditation helps us practice the process of continually letting go. He elaborated that the best meditation is the one that you do every day! It takes about 1500-2000 hours of meditation (roughly five years of daily practice) to see evidence of generalizability. Or more simply, nearly all people who meditate for over five years will begin to see similar benefits, such as enhanced receptivity, emotional regulation and ability to stay in the present moment. I deeply resonated with the closing message that personal mental hygiene is now an urgent social and public health need. Well-being is a skill that has not been traditionally taught in Western society, and that needs to change. -Many brains progress faster or slower than our nominal age, and that meditators brains function like younger brains. The practice also slows down the aging process. Meditators also have open sensory channels for pain, and thus recover more rapidly. -Pro-social tendencies are a fundamental feature of the mind, and are enhanced with meditation. See: Social Baseline Theory. My name is Erin Lee Henshaw and I grew up in Vienna, Virginia. From a young age I was a creator, running my first business in 3rd grade out of my parent’s basement. I excelled in sports and in the classroom. I went to the University of Virginia (UVA), where I studied Spanish and Sociology and worked at the Avon Walk for Breast Cancer immediately after college. After nearly three years of working in DC, I moved to Beijing, where I became a freelance start-up consultant and created my own company, The Mind Body Project (TMBP), to bring balanced health programs to expats. After five years in China, I returned home to the US, was introduced to the concept of mindfulness, and began incubating TMBP at the UVA iLab to adapt our China programs to the US market. I run a wellness studio in Belmont called The Yellow Door and work as a freelance consultant for marketing and corporate training programs. My real story is that my name is Erin Lee Henshaw and from a young age I liked to push myself mentally and physically. I liked to please adults, and I liked to feel like a leader. When I wasn’t good at something, I pushed tirelessly to become perfect at it, or walked away. My first brush with severe anxiety came when I arrived at UVA and noticed that I had to pee all the time. I got checked out at the doctor, and nothing seemed to be wrong. I went to counseling, and they told me to take fish oil and read a book called “Feeling Good.” I did. I found it dry, and I didn’t do the exercises. I gained 20 pounds, and began to drink a lot of beer to numb how uncomfortable I felt around so many new people. By my third year I wasn’t sleeping, so I went on sleeping pills and anti-anxiety medication. I had my first panic attack on the airplane on my way to study abroad in Spain, but it took me seven more years to learn about panic disorders, attachment disorders and trauma. My first weeks at the Avon Walk, I would walk home after a 10-hour day and think about how my parents both had the same jobs since college and say to myself, “This cannot be the rest of my life.” Sitting in an office felt like prison. I had always loved languages and was intrigued by US-China relations, so I decided that I would move to China, teach English, and figure out how to change jobs when I got there. I had the most intense nightmares of my life when I arrived in Tangshan, China, but went off my medications cold turkey, and decided that if I survived moving to a foreign country where I didn’t speak the language, I could basically do anything, and maybe my fear would go away. It didn’t. By the end of my time in China I was working 7 days a week at a start-up, having nightly panic attacks and flashbacks to my childhood. Something had to give. I quit my job, took a mental health holiday in Australia and wrote in my journal, “I give up.” It was the most relief I had ever felt. Knowing what I know now, I would have written, “I’m letting go,” but at the time I didn’t realize the difference. There are a textbook amount of factors that led me to nightly panic attacks in China, but I will say this; throughout my years in therapy, reaching out to friends and my own reading, no one told me about basic brain science, and how I could develop control over my emotions with breath, movement and intention. My “Feeling Good,” Cognitive Behavioral Therapy book told me how to change my thoughts, but what I really needed was a mind body tool that integrated what I was thinking AND feeling in my body. I found that tool in yoga and neuroscience. When I went to Hatha yoga in Beijing and Australia, I started to pay attention to my thoughts and feelings, and even though they were mostly out of control, sometimes, in final relaxation, I was able to find relief. · When I learned about Dan Siegal’s hand as a brain model and how our thoughts can be hijacked by our memories and emotions, I got it. We can use breath and movement to keep our frontal lobes “online”, and access our higher wisdom. · Reading that Buddhist monk Matthieu Richard’s brain had be scientifically proven to be “happy and healthy,” I believed that if my brain could be broken, it could also be healed. Einstein was right, “You can’t solve a problem with the same mind that created it…” but he didn’t mention just how much sleep, time, discomfort, practice, patience and community it takes to re-wire our brains! I started The Mind Body Project so that humans in a high pressure world of expectations, with real families and real life challenges know that there is relief, and it comes in the form of accessing the wisdom of our bodies. If we are compassionately guided through learning how to listen, we can heal. In fact, we can use these tools to move from not only surviving but, to thriving. A short while ago, I received an email from UVA Career Services Center entitled, “Yoga + Strategic Planning.” It was from a woman named Jenn Harvey, who wanted TMBP to run a mindfulness program for her team at UVA. After struggling to find my place in Charlottesville, it was a true blessing to been seen by Jenn and her team. A few weeks after, I received another email from Becky at Mindful Mornings, and (pushing through fear and trepidation), I decided it was time to tell my story. The world can be a small, magical and circular place. Co-founder, Erin Henshaw, met Sarah Kenny when she was six years old attending craft classes at Michael's Arts and Crafts in Vienna, VA. Fifteen years later, they were reunited at the University of Virginia over yoga and mental health awareness. Sarah has spent time with The Mind Body Project at The Yellow Door, taking a pro-active approach to her own self care. Who knows, maybe she'll introduce crafting for stress relief in her next big role as Student Council President. This verse alleviates the stresses of my day-to-day reality by refocusing the scope of my concerns, reminding me of the incomprehensibly grand, global reality in which each of us exists. In the time that countless worries come and go, trees remain rooted in the earth, and stars rise on the horizon each evening. Moreover, this verse paints the universe as a friendly spirit that nurtures each vulnerable, valuable creature with equal concern and benevolence. Amidst the seemingly constant commotion of life at UVA; amidst the competition and the tendency to fall into comparisons, do take the time and the space to be gentle with yourself. If not you, then who? Week 3: Logan's Final Reflection; Tea Time! The body is a dynamic machine, in constant motion. Sometimes imperceptible and sometimes large, every muscle twitch and breath generates heat and releases energy. To replenish this lost energy, we take in food and drink and rebuild ourselves throughout the day. Sometimes, however, we aren’t too cognizant of what we put into our bodies. In an age of instant gratification and persistent interaction, it is easy to slip into a routine of negligence wherein we fail to offer ourselves the nutrients we truly need to repair. This is especially apparent in my dealings with coffee, that sweet blend of energy in a cup. It’s quick and cheap, easy to procure and easy to down. Most importantly, it works in waking me up and priming me for the day; for a time, at least. After its stimulant effects have worn off, I am immediately overcome by a sluggishness and lethargy even greater than before I drank the coffee. At this point, that old adage made sense to me: you are what you eat. Or drink. The first day I got up at six in the morning to do yoga, I thought I was going to fall asleep on the way to the studio. I was never up that early, and if I was I certainly had coffee with me. But that morning, I was introduced to tea. An herbal tonic, more precisely, but the point is that it was not coffee, and that was what I needed. The morning was already warm, and the thought of hot tea was not exactly appealing. But it was an experience, and I wasn’t one to shy away from it. From the first sip, I felt open and in-tune with my body. It was warm, sure, but so was my body. Instead of going for a glass of ice water, I listened to my body and followed its instructions. Besides being perfectly blended, the tonic didn’t leave me with all the nasty side effects of coffee; I was awake and open, and stayed that way. Today, I believe tea before yoga is a necessity. Tea time is a social experience, an intimate connection with strangers, friends, community members. It’s a chance to open up and both teach and learn. It’s refreshing, but more importantly it is priming. It prepares you to move and stretch, releasing excess heat and energy on the mat. It puts you in a mindset of connection with your body; instead of drinking coffee to force yourself into whiplash of alertness, drinking tea respects your state of being and encourages you to transcend to wherever it is you want to be, just as does yoga. My run-in with tea was more than just a change in beverage preferences. It taught me to focus on the messages my body was sending me, and to respect them. Beyond gastronomy, this has helped me to interact more completely and openly with others and to slow down, to breathe. Downward dog, drinking tea, listening to others—it’s all yoga. Click HERE to attend our next Japanese Tea Ceremony, June 11 at The Yellow Door. I'm what most people call "accident-prone." I've always been considered kind of a klutz and it's not uncommon for me to have some sort of random injury. This never gave me too much trouble until August 2014 when I had a bad horseback riding fall and dislocated my SI joint (basically where your pelvis rests on your spine for those of us less than proficient in human anatomy). After that trauma, I spent literally years in constant pain, feeling more and more completely hopeless to ever be able to live a pain-free existence and desperately searching to find some way to improve my condition. I tried physical therapy, multiple doctors and x-rays, home remedies, and even considered surgery (and at my lowest points, complete amputation. You can live without a pelvis and lower back, right?) Nothing seemed to help me enough to feeling close to normal functioning. I had thought about trying yoga and had heard of some of the physical benefits, but I had taken a few classes before that were WAY out of my comfort zone. I am possibly the least flexible person you'll ever meet, so that really scared me away. That is, until I met Erin through a mutual friend and learned more about The Yellow Door/Mind Body Project. She told me that the work she and her colleagues do is catered to helping people feeling more connected and at ease in their bodies through mindfulness and "go at your own pace" yoga. I immediately knew I wanted to try it and decided to go to one of The Mind Body Project's Yoga Brunches with The Juice Laundry (Second Sundays at The Yellow Door in Charlottesville, VA. Coming soon to Richmond + DC.) Everyone was incredibly kind and receptive to my individual physical needs and experience, and the beginner yoga class that Shawn taught was amazing on a physical, spiritual, emotional, and even molecular level. But the best part? Almost immediately after the class I noticed that my SI pain and discomfort felt more alleviated than it had since before my accident. Just one session with The Mind Body Project turned me from someone crying in pain and unable to fall asleep due to a chronic injury into a happy, healthy, fully functional human being. And still, a month after the class, I am virtually pain free. I literally can't say enough good things about my experience and I can't wait to see what more The Mind Body Project will do in my life! In yoga, a mantra is something that you repeat to yourself as you center yourself and focus on your breath. It’s a message of love or hope; it keeps you grounded with the world around you while allowing you to focus within yourself. Breathing in, you connect with your inner self; breathing out, you connect with the world around you. For example, on breathing in you may think I am strong, and on breathing out you may think I am grateful. This reminds you that you are a singular being, but that you are also intimately connected with the universe outside. This seems like a novel activity that only has its place on the yoga mat. But in reality, we use mantras every day. Those constant thoughts that permeate our daily existence and dictate our action, those are all mantras. They can be healing and bright. They can ground us and keep us humble. Sometimes, however, they’re not always as positive as we might like. Last week, I shared that I have long suffered from persistent anxiety and self-doubt. It therefore takes no stretch of the imagination to believe that my daily mantra was far from uplifting. In fact, I was beating myself up daily for every little mistake I made, internally repeating to myself I am not loved, I could not be loved. For years, this daily mantra of self-hate weighed upon me, trapping me within myself. I felt withdrawn and isolated, alone with a self that made me uncomfortable. But, just as Erin says, we practice on the mat what we hope to do in real life. On the mat, we reflect within ourselves and learn to find our center, keeping our breath calm and conscience grounded before moving. Breath before motion. While we do this, we repeat to ourselves a mantra, but one of self-love and positivity, one that rebuilds us and leaves us feeling replenished, wholesome. The mantras of yoga connect us with one another, not make us feel alone or withdrawn. Taking that time to reflect on the mat has given me the opportunity to face what I’ve always feared most—myself. And just as Erin says, I use that opportunity to practice my mantra on the mat as well as in real life. I’ve turned towards opening myself up to other people, sharing with them who I am and allowing them to share with me who they are. Slowly, I’ve begun to feel myself become lighter. After only a week of yoga with the Mind Body Project, I’ve become more conscious, more present. Most importantly, I’ve become more open. Through the healing that yoga has offered me, I’ve begun to chant a new mantra in my head, not only in the studio but whenever I find myself tensing up or closing off. When I breathe in, I say to myself I am loved. And then I breathe out. Allow me to preface this by stating first and foremost that I am not a yogi, or at least I don’t see myself as one. It’s not so much that I choose not to be, but rather that I never saw the possibility of myself becoming one. In fact, I quite admire the lifestyle of grounded-ness and light, the openness to what was and what is and what will be. Bending and twisting into impossible shapes, the meditative Sanskrit mantras echoing brass singing-bowl tones, feeling the energy flow through my body and core–it all intrigues me. But that connectedness and love has always seemed beyond me, unattainable. No longer. This is my transformation and my journey towards a better mind and body, and I’m thankful to you for joining me. A bit about me, my name is Logan Brich and I am a rising second year at the University of Virginia (go Hoos!) studying Human Biology. I’m currently working for a biotechnology startup in Charlottesville, and through this enterprise I have access to the UVA Darden Business School Innovation Lab. This is where I met The Mind-Body Project team, and from the moment we interacted I felt the genuineness and love that each of the members had to offer. That’s what got me interested in joining them on my journey. For most of my life, I have struggled both physically and mentally. Old neck and back injuries from football continue to present as issues, making it difficult to relax and even sit for a prolonged period in certain positions. Because of this, I can feel my shoulders slouching forward, my back arching, and my chest closing, even when I am simply sitting still. When I stretch, my bones creak and joints crack, nerve pains shoot through my legs and back; at only nineteen years of age, I feel old. These impairments aren’t just a result of my physical injuries, however, but also my mental injuries. Anxiety, stress, depression, and insecurity have plagued me for as long as I can remember. Persistent feelings of self-doubt have crippled my ability to interact with other people and share myself with the people I love. I’m a self-professed work-a-holic who often dedicates most of his energy to the task at hand, often at the expense of myself and others. As a result, I have pushed away people who have been close to me, and I have isolated myself when that was the exact opposite of what I needed. This, combined with those past physical insults, has caused me to become closed-off, afraid, and incomplete. Needless to say, attending a group yoga class for the first time was the antithesis of my being, everything that scared me. Stretching meant nerve pain, sitting still meant the eventual discomforting degradation of my posture, silent meditation meant that I had to be alone with myself. But the acceptance I felt from the moment I entered through the bright yellow door of the Mind-Body Project space assured me that I was safe. The open windows, casting light and breeze into the space reminded me to breathe, relax, and feel. Tea sessions before and after the movement portion allowed me to connect with community members, people with whom I would never have interacted or cared to interact before. The team and other yogis were inviting and warm, even loving, and I knew that I had begun a journey towards healing. Though I have only attended a few sessions of yoga at the Mind-Body Project studio, I can say that I was hooked from the beginning, and that I will continue to attend sessions for as long as I am in Charlottesville. In a way, I’ve found a home, a safe place of warmth and community, somewhere I can share with others the essence of my being. It’s because of this love and light that I’ve been able to begin this journey towards a better mind and better body, and I am truly honored to have you join me in this transformation. Throughout the course of my life I have been unbelievably lucky to surround myself with a family who supports me and friends who believe in me. I have worked hard to achieve that which I’ve accomplished, but I recognize the fact that this support and belief is part of what has allowed me to succeed. With a team behind me, I have been able to go out, explore the world, and enter new, different, yet equally beautiful communities. While I have nothing but great things to say about the family I was born into, I am just as proud of the family I have made for myself. I want every person to feel that they are part of a loving, supportive community, and I think that The Yellow Door is striving toward being that community. Upon entering, the space immediately feels warm. While it is clean and the center of the studio is necessarily empty, the light coloring on the walls and the corner filled with books and tea help give the space a homey feel. The people I have encountered in the space are just as welcoming. Everyone is there because they want to be there. No one I’ve seen come into the studio does so out of obligation or for the sole purpose of making money. Each person is a building block in the community that the space has created. I’ve always been a bit intimidated by yoga because I am not a very flexible person. While traveling, I started participating in group yoga sessions with friends and companions in non-judgmental environments, and found that the benefits of combined mind and body exercise could be felt by even the most inflexible among us. Upon returning to Charlottesville, I wanted to find a way to both replicate the open environments I found traveling and build upon my yoga practice. I have now taken both Healing Yoga and Beginner Yoga at The Yellow Door, and feel that I have met both of my objectives. The teachers at The Yellow Door and the clients that attend the classes have always made me feel comfortable moving in a way that works for me and making mistakes as I learn new movements. Each class I have felt challenged, but not uncomfortable. I have learned new poses and techniques, but never felt that I was going against my body. I have exited all classes feeling stronger and more relaxed than when I entered them. Most recently, I attended part 1 of a 3 part Introduction to Meditation series. My meditation background is in the Vipassana meditation technique Anapanasati, so I was excited to learn alternate forms that could expand upon my own practice. I found the class incredibly interesting and calming. Each technique I tried, the instructor explained the science behind what we were doing and explained that if it didn’t work for us that was ok. Participants in the class felt comfortable sharing their personal experiences with the group, making the class into a safe space to test my individual limits and speak about my experiences. I learned techniques that I have since been able to apply to my daily life, helping my focus and my sleep. The Yellow Door has a great variety of classes and each class I’ve taken has had a positive effect of my day, but what truly sets The Yellow Door apart from other healing studios I’ve been to is the familiar feeling of community it has given me. I came back to Charlottesville after 6.5 years away, not sure exactly what I wanted to do or what was here for me anymore, and The Yellow Door has provided a space for me to meet new people who have similar interests and views of the world. I have a chance to be part of a new family and help support others in their journeys to better understand themselves. Five minutes in, I was already a fan of these rebel entrepreneurs. The Mind Body Project is one of roughly two dozen companies awarded space and support at Darden’s prestigious start-up incubator. Their mission: to deliver stress reduction programs to help companies tackle their biggest challenges. From high-intensity workouts, to yoga and mindfulness, they work with organizations and individuals to infuse a bit of calm, clarity, and happiness into daily life. The company was founded by Erin Lee Henshaw, Alyssa Farrelly, and Brittany Dunn in Beijing in 2014. As members of the ex-patriate community there, the group saw a lack of options for both mind and body fitness. There were running groups, fitness, and body-oriented opportunities, but in general, there seemed to be a need for more holistic approaches to wellness. 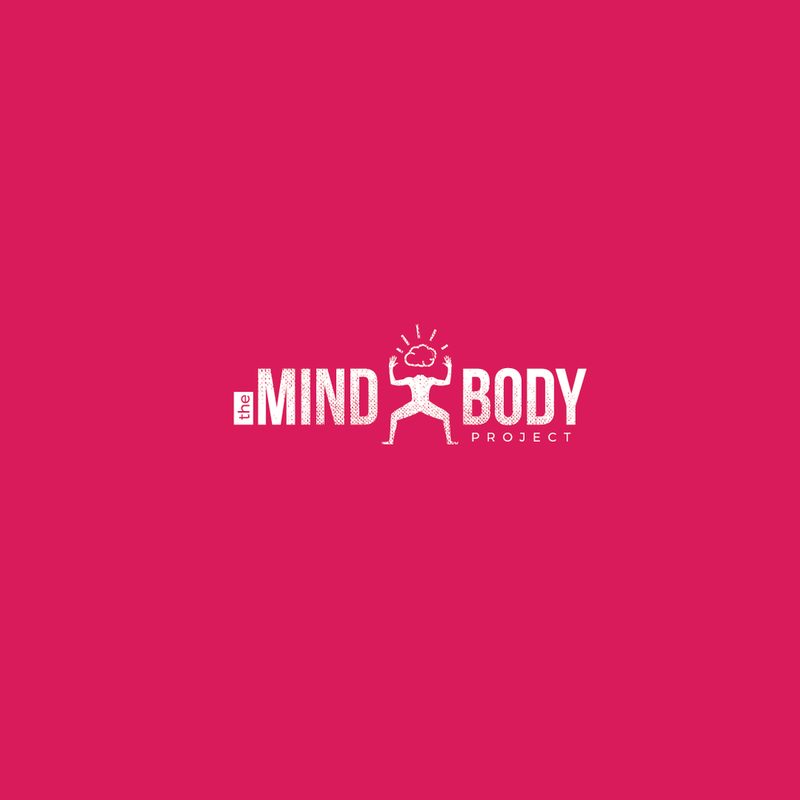 The Mind Body Project was born as a series of retreats designed for people to learn more about healthy habits to add to their lives — not to be fitness mavens, but to more fully enjoy their bodies in all the ways that might appeal to them. Exercise, healthy eating, meditation, tea, and other sensual delights are all integral parts of the The Mind Body Project experience. As we talked about the group’s experiences as founders, first in Beijing, and then in the United States, I was fascinated to learn about their experiences in each culture. My first assumption was that it would be much harder to start a new company abroad, in a country and environment markedly different from that of your birth. Erin convinced me it was quite the contrary — she explained that being an ex-pat in a foreign country can actually level the playing field. Being away from your home country can prime you to connect and seek common ground more readily. And when the usual social divisions don’t matter as much anymore, people’s first instinct is to help, and to give what they can. Now that they have brought the company to the United States, co-founder Alyssa Farrelly manages the team in Beijing, while Erin oversees their studio in Charlottesville, VA. Brittany Dunn travels in between the two offices, bringing her insight, and her high-octane workouts to both communities. When the team set up shop in Virginia and started participating in the incubator at Darden, they realized they needed to pivot from the retreat model that had been so successful in Beijing because the market was already saturated. In doing so, they found real value in focusing on bringing mindfulness to all kinds of institutions: to schools, to workplaces, even to prisons. They also set up a studio in Charlottesville, so that a regular schedule of classes could be taught on a weekly basis for individuals. The space is meant to be a mind body lab, where teachers can get feedback from students about what works and what can be improved, and students can develop a self-practice that can be advocated more outside of the studio, like in offices and schools. Changing the structure of the business activity, however, didn’t faze Erin or the team. Their emphasis was on staying true to the goals of the project — that is, bring mindfulness and holistic wellness to people and institutions — and if the mode needed to adapt to new methods, then so be it. Indeed, yoga and meditation are excellent tools for finding ways to be comfortable with ambiguity, which is precisely the lesson every start-up must learn. I couldn’t help but ask the team about burnout, which seems endemic to start-up culture. How does a wellness-focused start-up deal with the usual pressures of entrepreneurship? Brittany shared that for her, the goal is to sustain energy, which doesn’t always fit office schedules or corporate timelines. Erin commented that, even though she works long days, she feels as though she has more energy than she did before embarking on this project. “I am invested in practicing mindfulness and yoga and taking care of my body as needed,” she explained. And the great news is that the core of her business — her mindfulness practice — is the very thing that can help boost her focus and concentration. All of the team members made an important distinction between effort and work. Each of them is passionate about the company, and they all put a lot of effort into the business each day, but it doesn’t feel draining to them. Collaborating as a team allows them to communicate their needs when necessary, and adapt to the strengths of each. Instead of pushing themselves to work hard, they follow the pull of the mission. As we wrapped up our conversation on that hot summer afternoon, I asked Erin Lee Henshaw to share with me her strategies for getting through stressful times — especially since we can’t all get to a yoga studio every day. She sent me her schedule, and the thoughts below, for all of you out there seeking peace in your hectic schedules. 1. Get up early, between 6–7am. 2. Start with a mug of warm water. 3. Ideally, take a 60–90 minute yoga class. Alternatively, meditating or doing breathwork for 20 minutes. 5. Start emails early, when my brain is most sharp and my body most calm. Mindfulness has helped me develop a calm curiosity about life. In the past, I used to think of each challenge as a struggle keeping me from my final goal. But, once I began to accept flowing in the present moment as the goal, I began to look for the lessons in every situation; either externally, what is this challenge teaching me? Or internally, how can I control my reactions and behave in a way that I am most proud in this situation? I’m truly a baby yogi and meditator, so I can only imagine the power of a sustained practice. Employing a growth mindset to our lives and how we want to approach running a business, we're taking the summer to study at the University of Virginia's, i.lab (innovation lab) @ The Darden School of Business. "Meditation and self-care" was a recurring theme suggested to our cohort by several successful entrepreneurs. Hello, validation! Human Factors Engineering is something most people and companies don't take into consideration, it can save lives, and make what you're doing easily utilized. MVP? for a startup, it's your Minimum Viable Product, --your specific product that just enough features to gather validated learning and leaves room to further develop. And an AWESOME SWEAT EQUITY VIDEO made by our friends at Dovetail Digital! We are so grateful. This year has been an intense period of getting REAL about business. In early 2016 we were accepted to the iLab at the University of Virginia, and thus began months of fundraising, coordinating and ultimately launching a more business-savvy version of The Mind Body Project. In June, four of us began attending entrepreneurial incubator classes, Alyssa finished up corporate programming at Bloomberg Beijing and we had a soft opening of The Yellow Door, a mind body wellness hub in Charlottesville, VA. Throughout the journey our tribe grew to include a branding and graphic design consultant, inspiring intern, a tech-loving meditation guru and six new teachers. We ran over 250 classes and programs at companies, schools and around Charlottesville. Highlights included receiving a grant to teach Mindfulness at Johnson Elementary, a scholarship to attend the Mind & Life Institute Symposium in San Diego, running a mindful MBA program in Beijing and teaching trauma-informed yoga at the Blue Ridge Juvenile Detention Center. Erin continues to teach with the Contemplative Sciences Center at UVA, as well as work in corporate training at Worldstrides in Charlottesville. Brittany is working with the Guinness Book of World Records, teaching music and movement programs in Beijing, and is currently in India receiving a children’s yoga certification. Sarah is teaching mindfulness with the UVA Curry School of Education, Natalie is officially an events-savvy architect at Crossboundaries, and Alyssa is growing her savvy as Executive Director of Project Penyou in Beijing. The Mind Body Project is a solution, not a problem. Passion projects are fun, but sustainable businesses solve problems. We are working on our branding and getting specific about the problem we want our mindfulness programs to tackle. Charlottesville is not Beijing. We have loved getting to know the community here intimately, quite a change from the hustle and bustle of Beijing. We’re getting used to the change of pace and business mentality, and excited about local collaborations. Consultants are awesome. We have had the privilege of getting feedback from lots of mentors at the iLab, which have helped us learn to get lots of feedback, not to take things personally and to get outside of our bubble! We need Digital Marketing Savvy. We are learning to effectively navigate the rapid changes in SEO, social media and inbound marketing. Look out for our blog in 2017! We need diversity on our team. We are five early-thirties, white, females who like the same things. Our personalities are diverse, but not necessary our skills and perspectives, so we are looking to attract new energy this year. We know that many of you are far away, but you believe in what we are doing. Thank you. We truly feel your energy from around the world. We keep costs REALLY low but still have monthly costs like this newsletter, email, website, insurance, utilities and incidental program costs.We are becoming more sustainable this year via classes at The Yellow Door and have our fingers crossed about a large grant and a few corporate proposals, but our operating costs will be a minimum of $4,300 this year. We are six months into operations in the US, and we could use help extending our runway. Erin is happy to share our 2016 financials, she keeps diligent records. Additionally, if we receive at least $2,000, we will offer another mindfulness program at Johnson Elementary. We are also ready to apply for grant funding in conjunction with partner organizations.Please connect us with community health, mental health and contemplative science/neuroscience research opportunities.